Draw out hidden pockets of vibe and soul in your sound, with a degree of punch normally associated with compression. 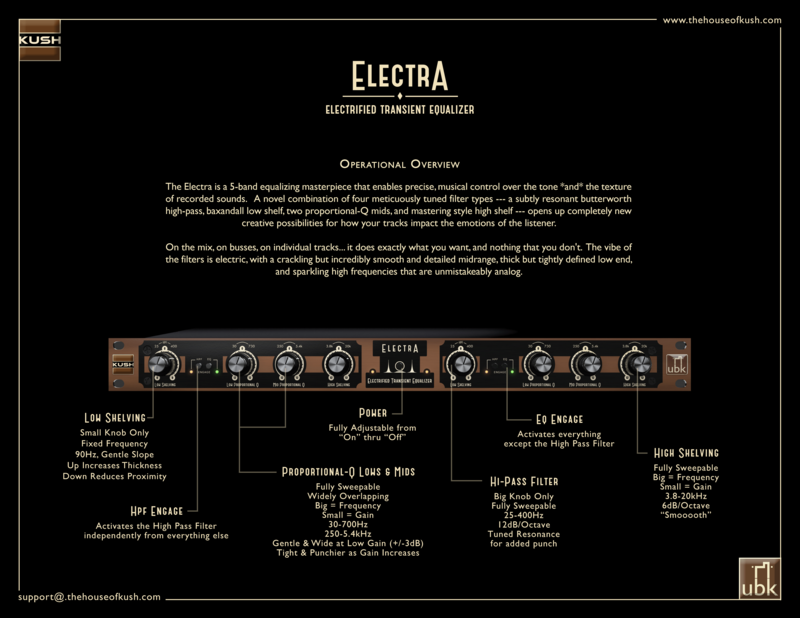 Electra has an uncanny ability to find the hidden pockets of vibe and soul inside a sound and draw them out of hiding. It also exhibits a degree of punch normally associated with compression; the low end is massive and tight, the mids have a smooth smack, and the high shelf screams ‘analog! Whether it’s gently tightening and defining the mix bus or aggressively sculpting individual tracks… Electra does exactly what you want, and nothing that you don’t.